Your mind tricks you!!. These are 2 very interesting gambar that tampil how the mind tricks you, sorry if this is not the best spot for them i just though lebih people would see them on a better spot like this.. Wallpaper and background images in the fanpop club tagged: mind tricks. These are 2 very interesting gambar that tampil how the mind tricks you, sorry if this is not the best spot for them i just though lebih people would see them on a better spot like this. Never in my childhood could I see the dolphins. My mind has always been corrupted. 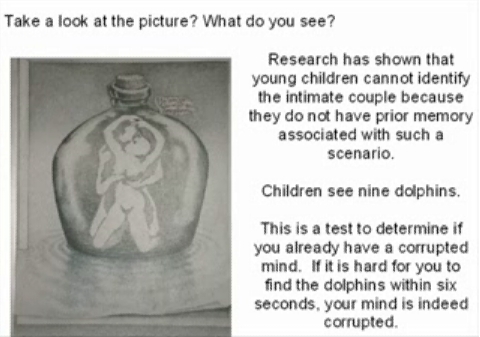 Are you sure that there are dolphins in the picture?